In March this year software giant Microsoft has announced the availability of Windows Server 8, later in April it has been renamed to Windows Server 2012. Windows Server powers many of the worlds' largest datacenters, enables small businesses around the world, and delivers value to organizations of all sizes in between. 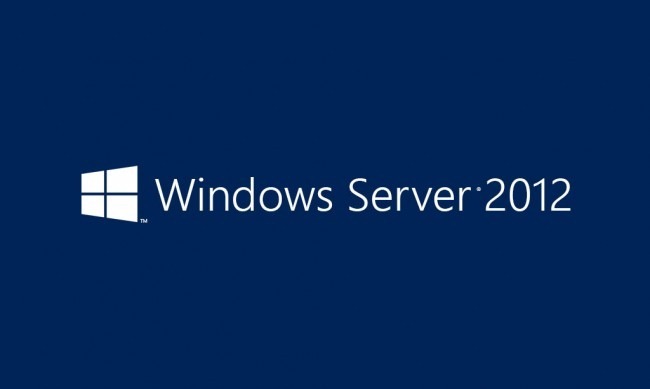 Windows Server 2012 redefines the server category, delivering hundreds of new features and enhancements spanning virtualization, networking, storage, user experience, cloud computing, automation, and more. Simply put, Windows Server 2012 helps you transform your IT operations to reduce costs and deliver a whole new level of business value. With Windows Server 2012, Microsoft delivers a server platform built on our experience of building and operating many of the world's largest cloud-based services and datacenter. Whether you are setting-up a single server for your small business or architecting a major new datacenter environment, Windows Server 2012 will help you cloud-optimize your IT so you can fully meet your organization's unique needs. Complete Virtualization Platform- A fully-isolated, multitenant environment with tools that can help guarantee service level agreements, enable usage-based chargeback, and support self-service delivery. Improved Scalability and Performance- A high-density, scalable environment that you can modify to perform at an optimum level based on your needs. Connecting to Cloud Services- A common identity and management framework to enable highly secure and reliable cross-premises connectivity. Flexible Storage- Diverse storage choices that can help you achieve high performance, availability, and storage resource efficiency through virtualization and storage conservation. Continuous Availability- New and improved features that provide cost-effective, highly available services with protection against a wide range of failure scenarios. Management Efficiency- Automation of a broad set of management tasks and simplified deployment of workloads as you move toward full, lights-out automation. Flexibility to Build On-Premises and in the Cloud- A consistent set of tools and frameworks that enables developers to build symmetrical or hybrid applications across the datacenter and the cloud. A Scalable and Elastic Infrastructure- New features to help you increase website density and efficiency, plus frameworks, services, and tools to increase the scalability and elasticity of modern applications. An Open Web and App Development Environment- An open platform that enables mission-critical applications and provides enhanced support for open standards, open-source applications, and various development languages. Access to Applications and Data from Virtually Anywhere, Any Device- Seamless, on-demand access to virtualized work environments from virtually anywhere. A Full Windows Experience Anywhere- A personalized and rich user experience from virtually any device that adapts to different network conditions quickly and responsively. Enhanced Data Security and Compliance- Granular access to data and corporate resources based on strong identity, data classification, and centralized policy administration and auditing.